Structure with fixed portal in ribbed cast iron with stiffness wall. 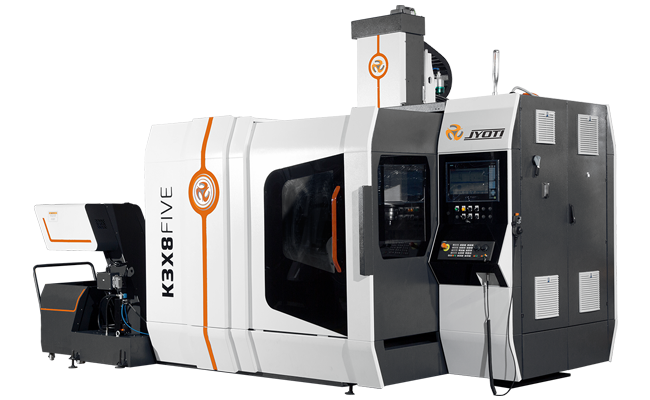 Harmonically stable Machine for complex part machining. A & C axis TRIM table with high torque capacity. 20° negative angle in table for 6th side machining. Large accessibility from the top for better approach. Multiple variant in palletization up to 6 pallets. 20 tool fast auto tool changer. Efficient chip disposal and easy chip evacuation.